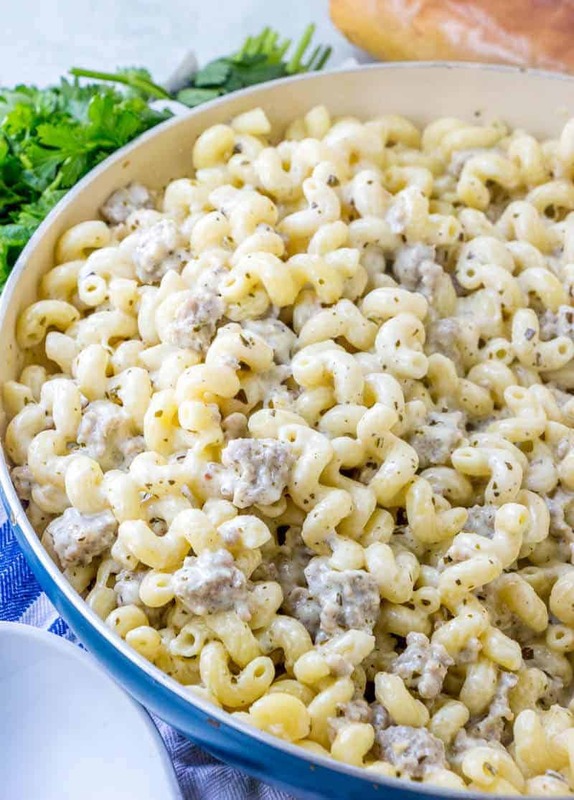 Creamy, flavorful and addicting this Sausage Pesto Pasta is a quick and easy dinnertime recipe that whips up in no time and feeds a crowd. 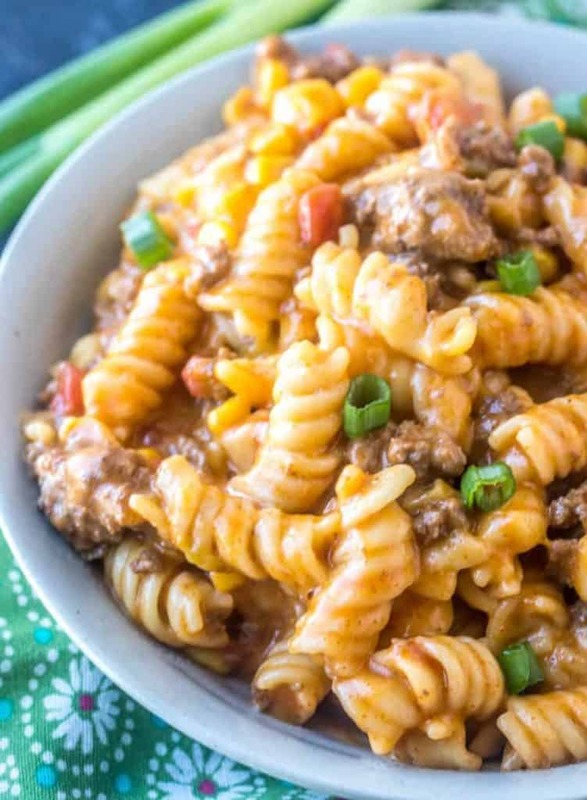 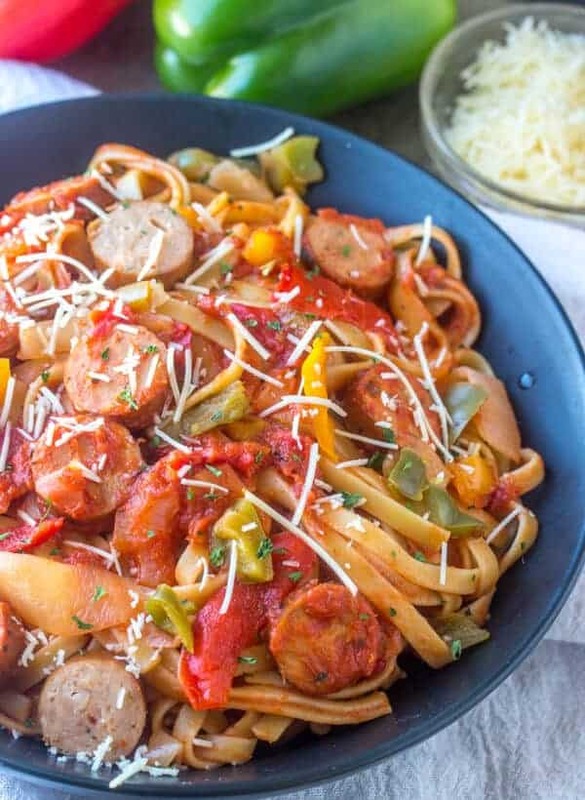 You’ll enjoy the freshness of this easy Saucy Sausage and Pepper Pasta! 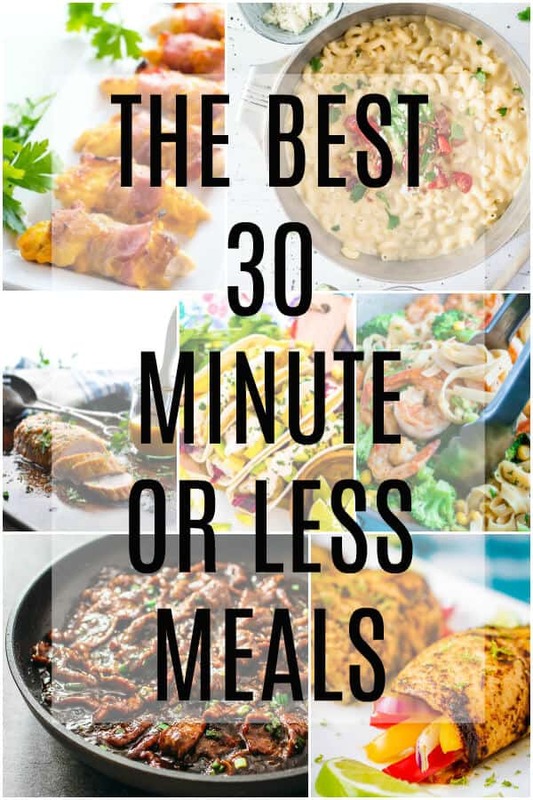 It comes together in under 30 minutes and feeds a crowd!